As you know I’m a big fan of a Northern city break. 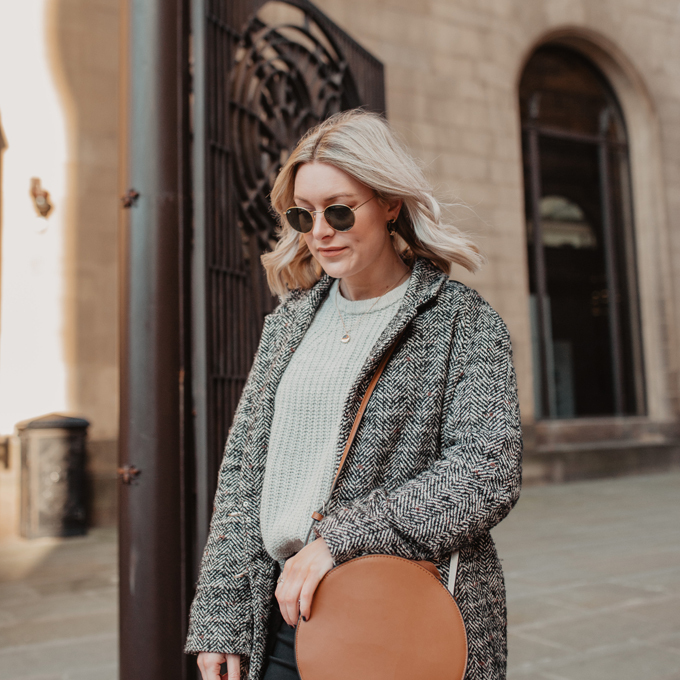 Here’s what we got up to and my top three recommendations for what to see and do in Durham, England. 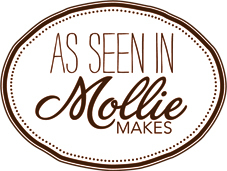 If like me you think breakfast is the most important meal of the day, then Durham’s your new fave place. Nestled between independent boutiques and quirky gin bars you’ll find cool coffee shops and Instagrammable brunch stops, this city is a real mixing bowl of meeting places and eateries. 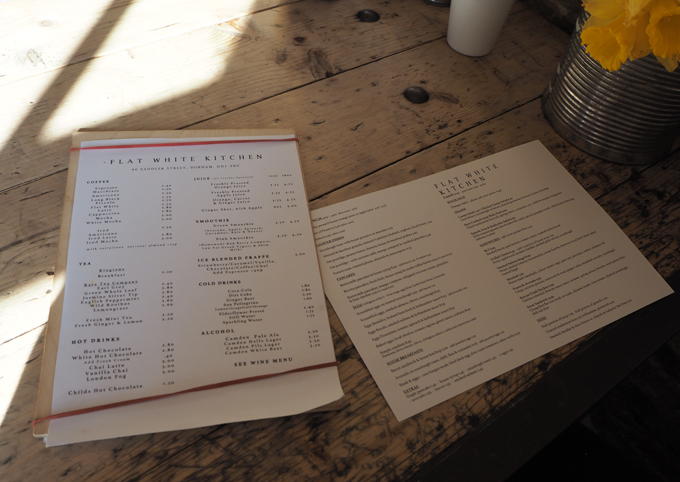 When I asked you lovely lot for brunch recommendations before my visit one place kept coming up, Flat White Kitchen. So obviously we had to check it out. We were given the heads up by Chloe from New Girl in Toon to get there early to avoid queuing and managed to get a table bang on 10am on Sunday morning. 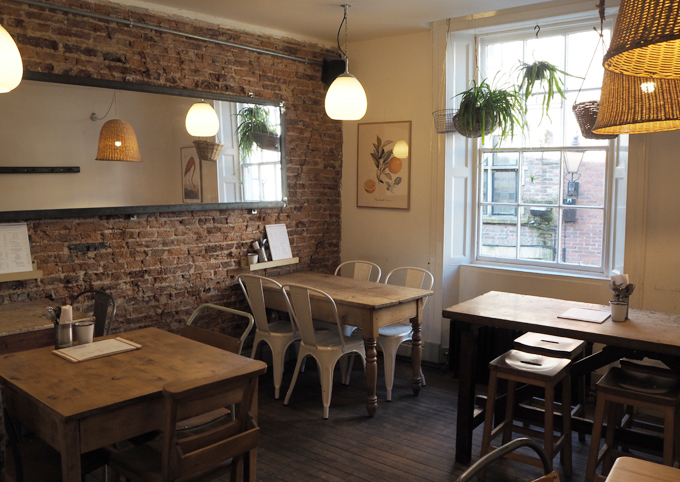 Well known for it’s pancakes and coffee, Flat White offers a hearty breakfast menu in a cosy, rustic interior. 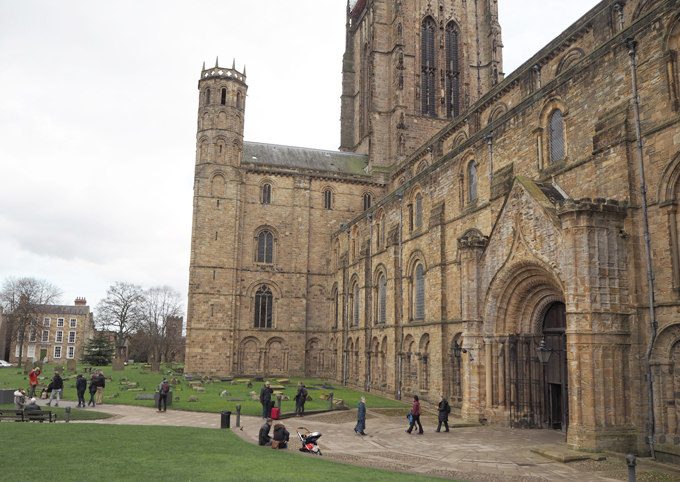 Similar to close by York and Lincoln, Durham is steeped in history and showcases that with spectacular cathedrals and churches. 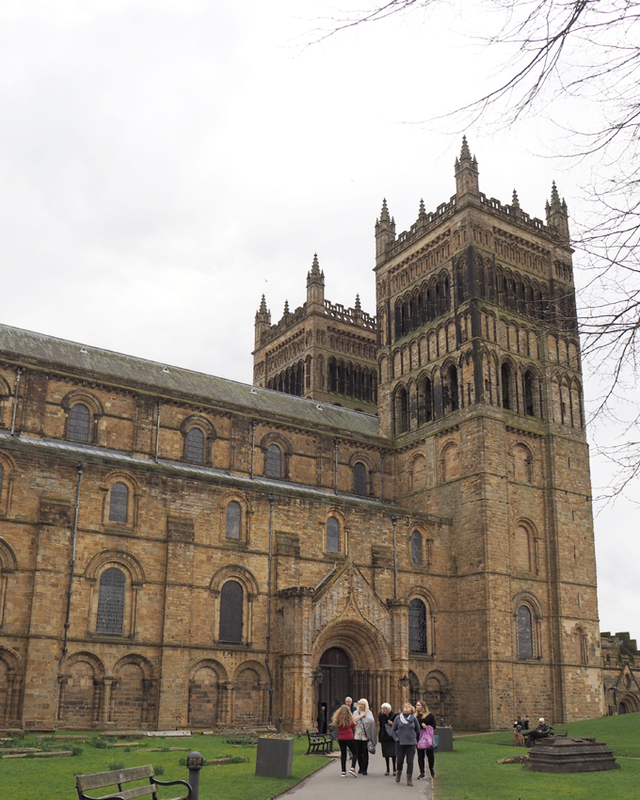 Just up past the busy high street you’ll find Durham Cathedral and Castle standing proud on the hill. These magnificent buildings are well worth a visit with many areas free to look around, although the castle was closed the day we visited. Never the less, we enjoyed a stroll around the grounds and although the sun wasn’t shining, spring was definitely in the air. 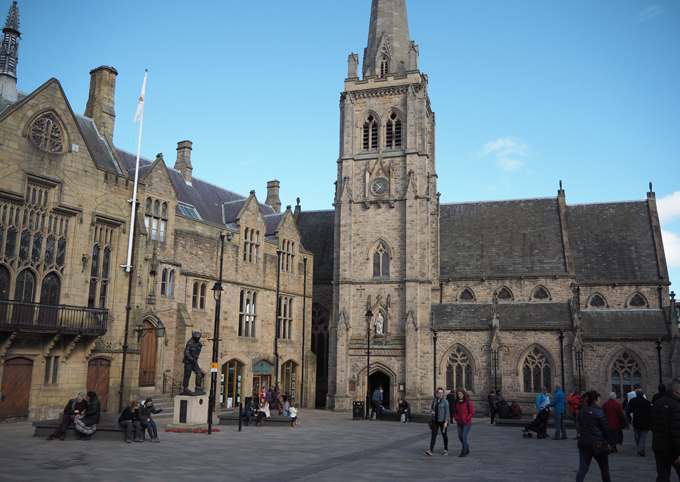 If you head to Durham’s main market place, you’ll find St. Nicolas church guarding its sellers and makers every Saturday morning. 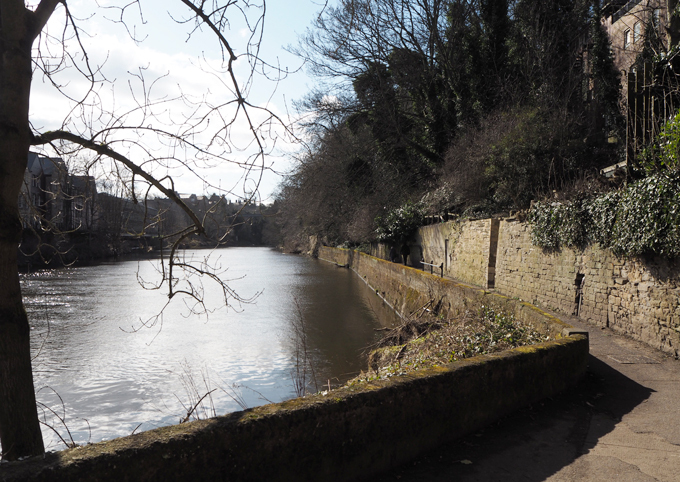 One unexpected treasure we found in Durham was the beautiful circular river walk. 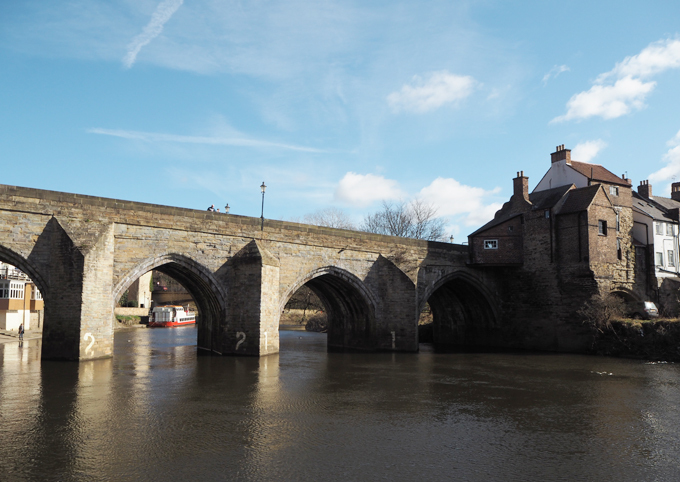 Starting at Elvet Bridge and finishing at Framwellgate Bridge, the walk took us in a loop along the river showcasing some of the cities most breath taking bridges and buildings. There’s something about having a river so interconnected that gives this city it’s character. I love how close it is to everything, you can literally step away from the hustle and bustle of the high street and be greeted with the peace and quiet of the river within minutes. 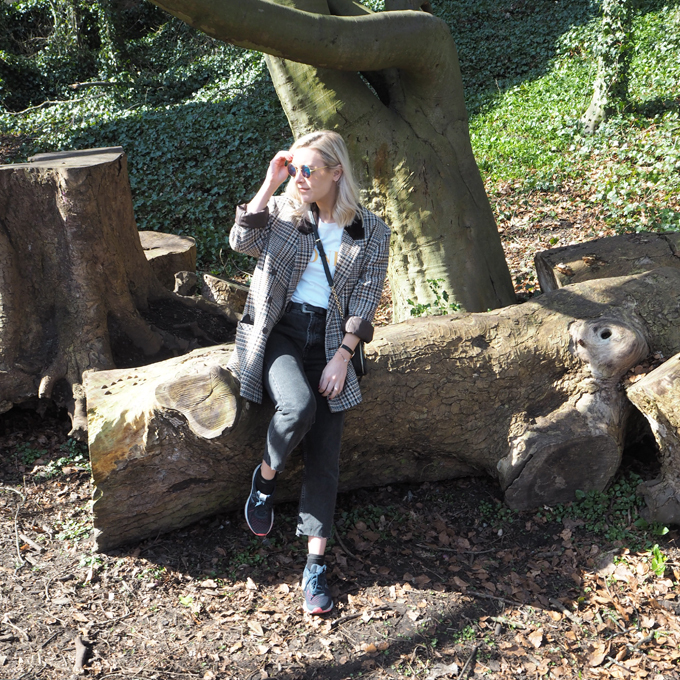 The perfect stroll to walk off those famous Flat White pancakes! Check out my Instagram for more photos of Durham & follow along to see where I’m heading next. 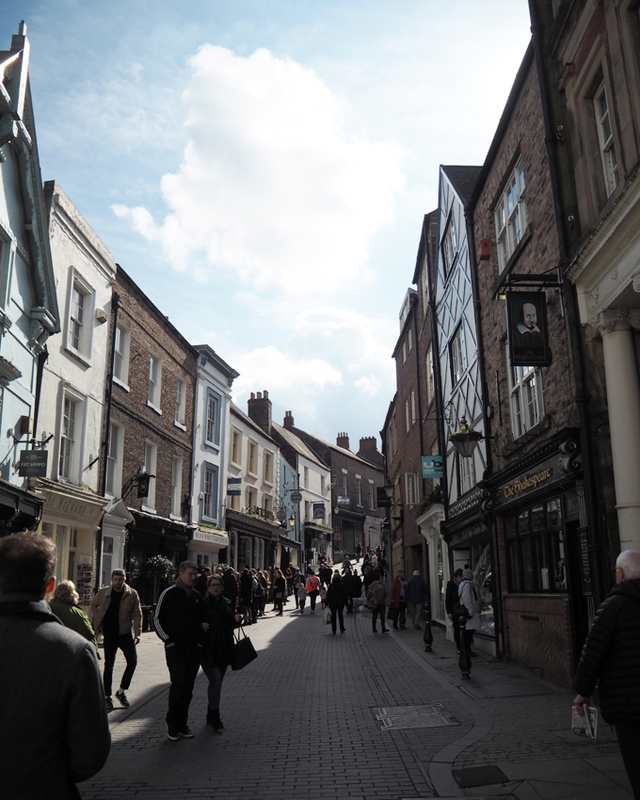 Our weekend in Durham was over all too quickly, but I’m sure we will be back soon. 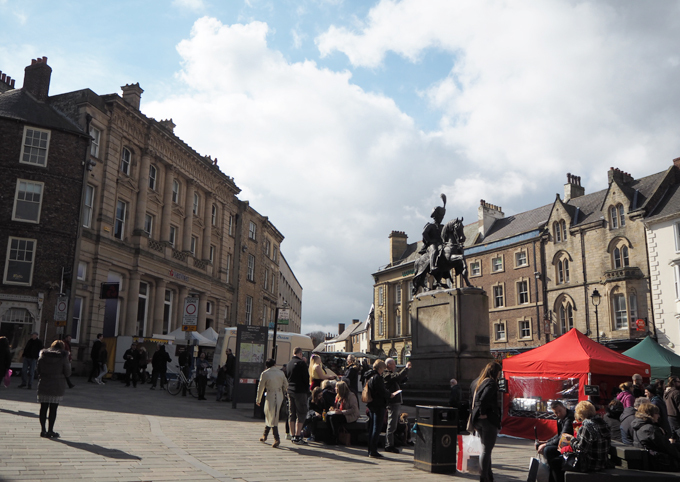 This lovely city won us over with it’s charming history and eclectic mix of cafes, bars and shops. 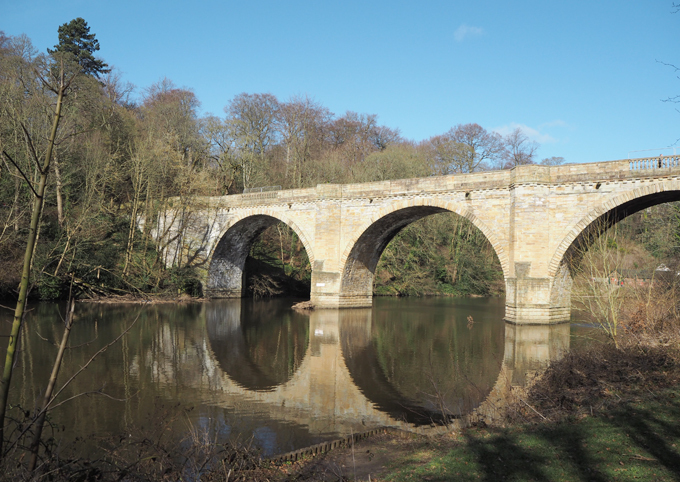 Have you ever visited Durham? What’s your favourite Northern city? Gorgeous photographs and I am SO happy that you managed to get a table at Flat White, it’s worth getting up early for!